Where in the world is Beverly? My favorite saying is "I've been hanging out like a toad at home." Contemplating life. In that time I finished my Bead Cruise projects for Bead Cruise 2015. Can you believe next year will be our 10th anniversary! It sold out within the first two weeks! Heather does such an awesome job hosting this event. These are the classes I will be teaching. Let the Starfish be your guide as you capture a ceramic cabochon by Suburban Girl Studios. 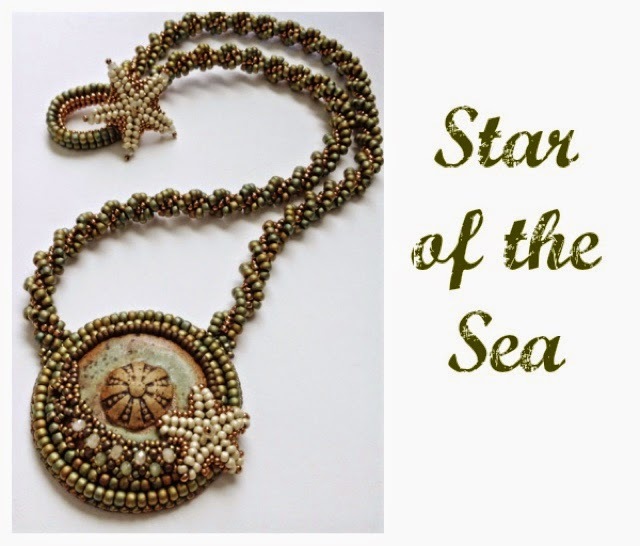 You will create a bead embroidered bezel with tiny crystals that sparkle within the netting accented with a starfish. A Twisted Herringbone rope with a starfish clasp completes the design. 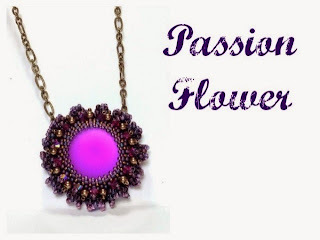 Surround a Lunasoft cabochon with a peyote bezel. Ruffle accents with crystals and pearl nestle inside of the folds. A brass chain completes the design . Wear one, wear two or dress them up with another bracelet. 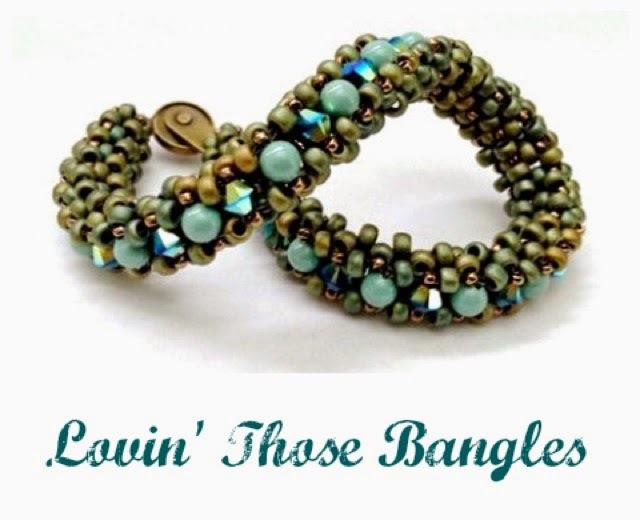 You will love these bangles made with Cubic Right Angle Weave. Swarovski pearls and crystal complete the design.